My aim is to design and engineer interfaces and thin films with control at atomic scale for the next generation of energy conversion and storage technologies. 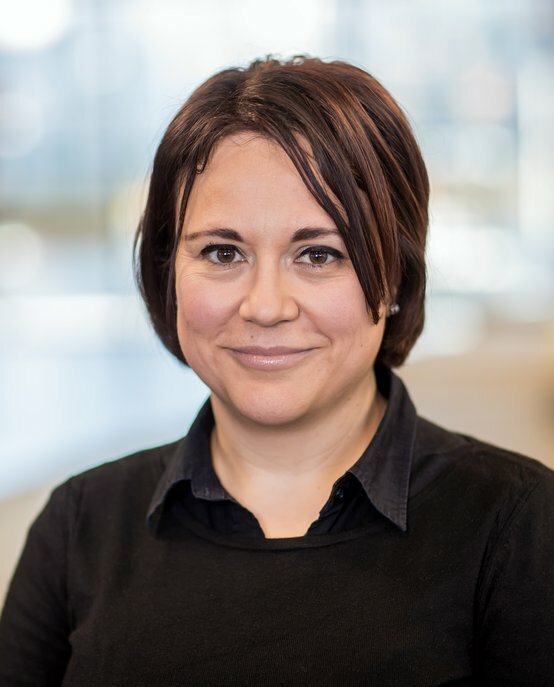 Adriana Creatore is an Associate Professor in the Plasma and Materials Processing group. Her research, built upon the knowledge and expertise in low pressure plasma chemical vapor deposition (CVD) of thin films, now includes other deposition approaches, such as initiated-CVD and atomic layer deposition (ALD). Currently, Adriana is focusing her research on atomic scale processing for next generation energy technologies. The aim is to design and engineer thin films and interfaces at the nanoscale by means of atomic layer deposition, toward efficient and selective transport of charges in next generation of energy conversion and storage technologies. Selected examples are thin film (e.g. organo-metal halide perovskite) solar cells, photo-electrocatalytic cells (e.g. sun-driven fuel production) and 3D all- solid state batteries (e.g. Li-ion based). These application areas are investigated in close collaboration with international academic partners, research institutes and industry. Adriana Creatore received her MSc (with highest honors) and PhD in Chemical Sciences from the University of Bari (Italy) in 1997 and 2001, respectively. She joined the Plasma and Materials Processing group at the Applied Physics department at the Eindhoven University of Technology (TU/e) with a Marie Curie (FP5) postdoc fellowship (2001-2003). In 2004, she was awarded a 3-year VENI grant from The Netherlands Organization for Scientific Research. In 2007 she was appointed as assistant professor and Sustainable Energy Technology (SET) fellow in Solar Energy and in 2011 she became associate professor, in parallel with a NWO-Aspasia grant. Since 2017 she holds the ius promovendi.